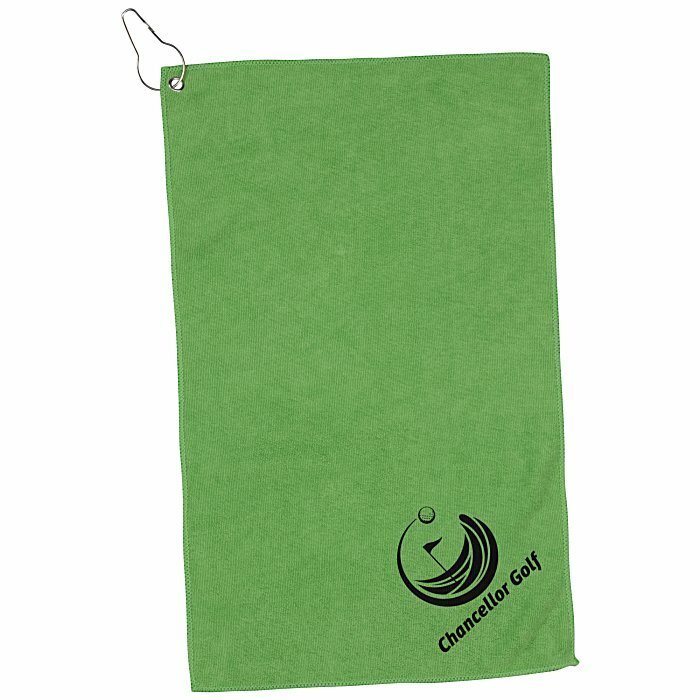 Microfibre Golf Towel - 18" x 12"
Personalize this golf towel and advertise on the green! 3 colour(s) to choose from! 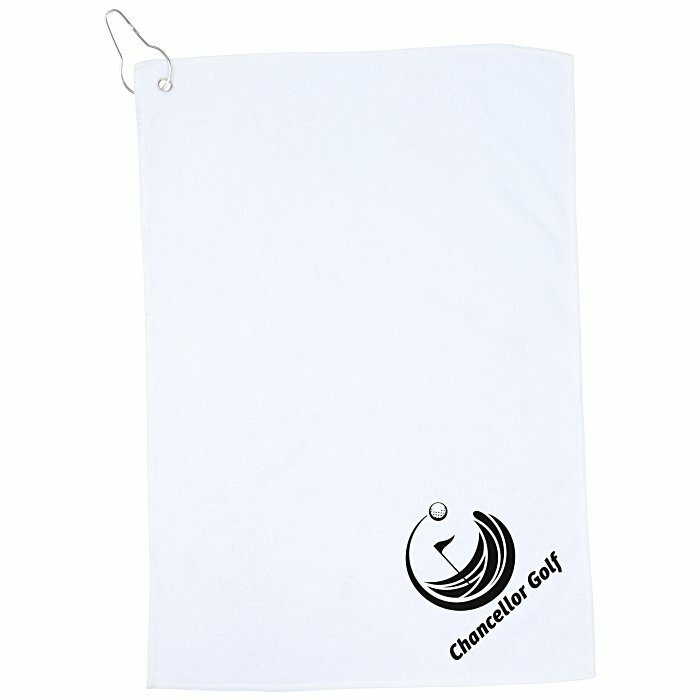 This custom golf towel is made of 300GSM microfibre. This soft, absorbent microfibre towel is lightweight and quick drying. Intended for dry or damp use to wipe down all golf equipment. Complete with sewn side hems and a built-in hanging grommet. Size: 457 x 304mm (18" x 12"). 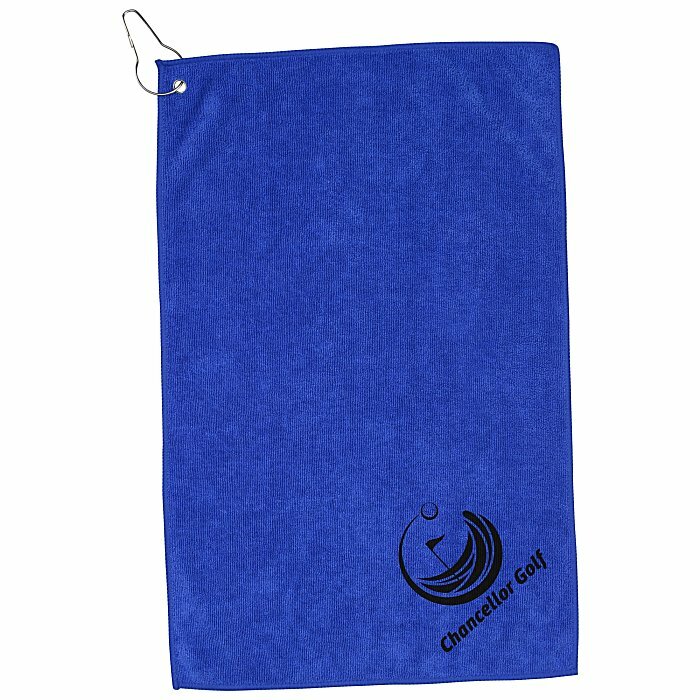 Your price includes a black or silver imprint on front of towel, in the lower right corner.